HEAD to almost any big name fly fishing destination across the country and ask your guide what he does on his day off. “Chunking streamers”; “Throwing Protein” “Bashing the Banks” “Ripping Meat off The Banks”. The answers will vary in expletives, wild facial expressions and regional nomenclature but its all about one thing. Big flies, big rods and the shot at big fish. For the past 24 months, and in many cases a lot longer, banging the banks with big flies has become a serious addiction among most of our guides. Steve, Chad, Gabe, Ben, Marc and Kevin have all been swept up along with a motley crew of like minded souls, in varying degrees, by this affliction which might not return the numbers of fish, but eventually will reap big fish rewards. And even when you aren’t catching, watching a 10lb brown follow your fly out from the bank will set anyone’s heart pounding. The slashes and misses bring out the sweats. But the ultimate moment last year, and I’ll always wish I was there to see it, fell to one of the crew, Joey Puckett. 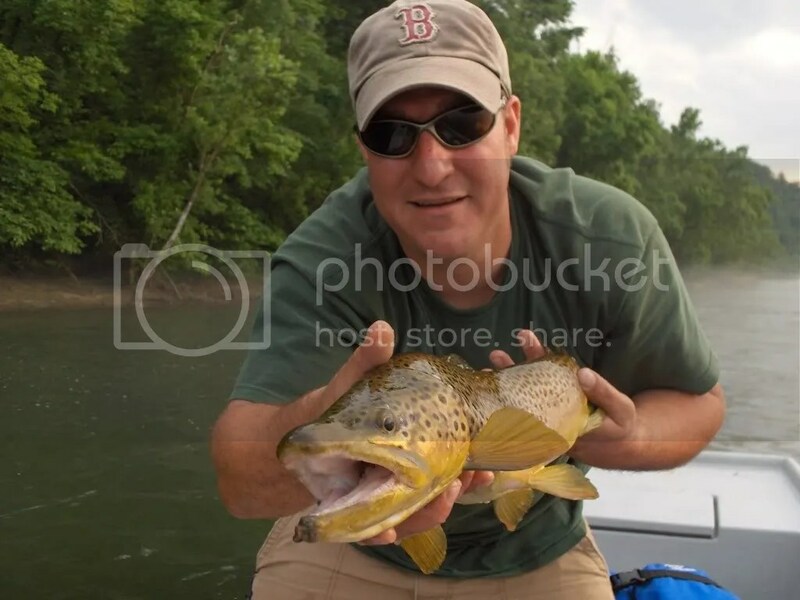 Joey was connected an every day 20″ brown (funny how your expectations change) when a seriously big brown was attracted by the commotion and came after Joey’s fish. The boys reckon it was well over 30″ but how much bigger is anyone’s guess. Its moments like these that keep you casting, when you are hot, tired, arm aching and your back sore, through the drudgery. The secret is commitment, be prepared for some fishless days, and keep focussed on the task at hard. 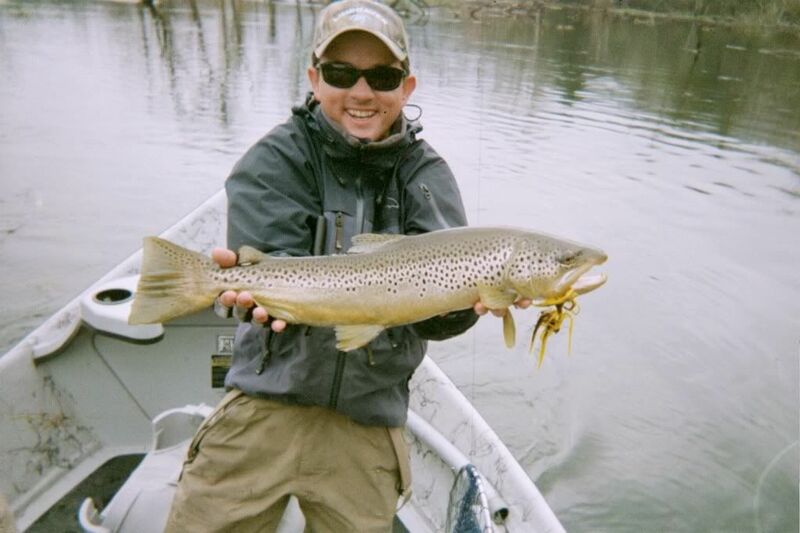 And some days it all just comes together like for Gabe Levin on January 7, 2011, when that next cast pulled up a hungry 32″ of brown trout. Here’s the story of the day.